link is working for me. i like the wheels. 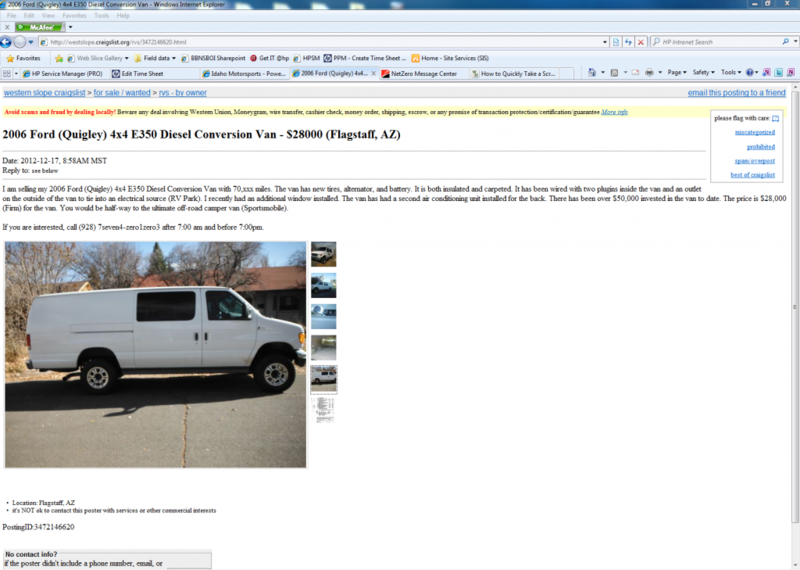 Interesting, the link takes me to West Slope Colorado Craigslist, where some ad is flagged for removal. Westslope is Colorado, not Flagstaff (AZ), and craigslist can get weird about keeping things local. I get the ad as flagged too.